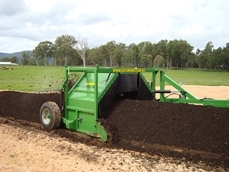 GroundGrocer specialise in composting and living soil products including air pumps, compost bins, compost machinery, Reotemp compost thermometers, compost moisture meters, fertilisers, monitoring equipment, worm composting and more. Poultry Manure Supplies from Haby's Manure Supplies specialise in straw based raw chicken manure and compost. 04/04/11 - Oz Turner compost turners are used for mixing organic materials which after a small period of time will break down into a healthy, useable compost.